Game Insight has released Mystery Manor on iPad, which is a mobile conversion of a popular social game. Game Insight has released the Mystery Manor (2011) game to the Apple App Store. This title has already become popular in its version for social networks like Facebook, Orkut and VKontakte, where it has acquired more than 8 million players. Now Mystery Manor is also available on iPad, and Game Insight is confident that the game will test the same success on mobile devices as it does on social networks. In a new Hidden Objects adventure the mysterious mansion is populated with extraordinary characters, fantastic monsters and phantoms. Players must solve mind-bending puzzles and seek out items hidden in a myriad of rooms, as they uncover the hidden corners of the mansion. Most importantly, what distinguishes this title from other games in the genre is the truly unbounded gameplay. The game offers regular updates with new quests, characters, items and mysteries. 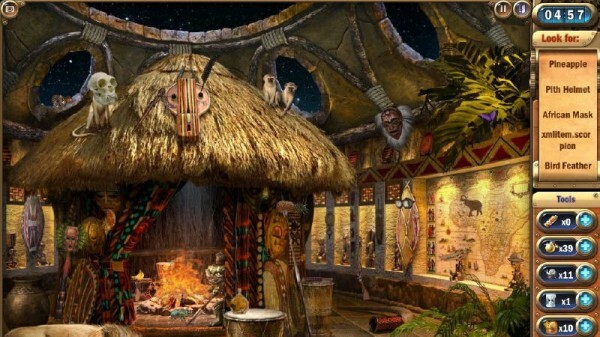 Thus, having installed the game on their iPad, a player will be able to unravel the enigmas of this wondrous house to their heart’s content, without the need to purchase and install another application. Mystery Manor is set in an unique universe that fitting the Hidden Objects genre. As with all other games from Game Insight, playing this game is absolutely free.